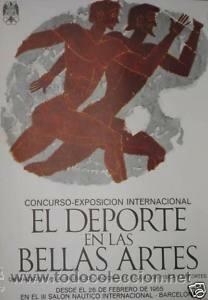 CARTEL 17 SALON NAUTICO Y DEPORTE DE BARCELONA.1979.HUGUET.68X99CM. CARTEL X SALON NAUTICO INTERNACIONAL BARCELONA.1972.HUGUET. 44X67 CM. CARTEL XI SALON NAUTICO INTERNACIONAL DE BARCELONA 1973.HUGUET.47X67 CM. ARTEL XV SALON NAUTICO Y DEPORTE DE BARCELONA.1977. HUGUET. 68 X 97 CM. Hora oficial TC: 06:06:19 TR: 98 ms.